It seems that virtual currencies keep expanding all over the world. 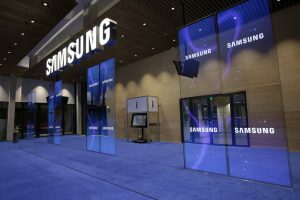 This time, Samsung announced that it will be accepting virtual currencies for its products in the three Baltic countries. The company arranged a partnership with the payment platform known as CopPay. One of the most important IT companies all over the world, announced that they will be accepting crypto payments for its products in the 3 Baltic countries. We are talking about Latvia, Estonia and Lithuania. The information has been released on July the 20th and the first shops will be located in Riga, Tallinn, Kaunas and Vilnius. At the moment, there will be just some currencies accepted, but later there will be more cryptos supported. The company said that it will be working with Bitcoin (BTC), Litecoin (LTC), Ripple (XRP), Ethereum (ETH), Steem and Dash. This will allow more individuals to make purchases with cryptocurrencies and help retail stores see the benefits associated to virtual currencies. As a good IT company, Samsung is giving the example to other companies on how to adopt new growing technologies. Even when the first stage of this project is available in three countries, in the future more nations may be added to the list. Samsung has been in the news earlier this year because it announced that it wanted to enter the blockchain and crypto market by developing ASIC miners and compete against Bitmain – which is currently the most important company in the Bitcoin mining market. At the same time, CopPay is also expanding its business and is trying to reach new customers and retail stores. The main intention is to spread the knowledge about virtual currencies and the benefits related to accept them. There are other companies that accepted virtual currencies such as airlines, airports and retail stores all over the world. We have written about that at UseTheBitcoin several times. For example, Star Jets International started accepting Bitcoin as a means of payment for the services offered. CheapAir, for example, an online travel agency company is also accepting crypto payments for flights and hotels.